We had an amazing first birthday party for Ethan on Saturday. The weather was simply beautiful for a winter’s day in mid August. Everyone had loads of fun, I think I may have had the most fun though. Planning parties and doing the DIY’s are my most favourite part. Ok, no more talking, here’s the photos. The tissue paper balls were bought at spree.co.za. I just had to fluff them myself. There was just no way I was going to be able to cut and fold the balls and finish everything else. I made all the banners, the photo board, and cut out all the airplanes. The amazing cake and cupcakes were made by the talented Made By Mel. 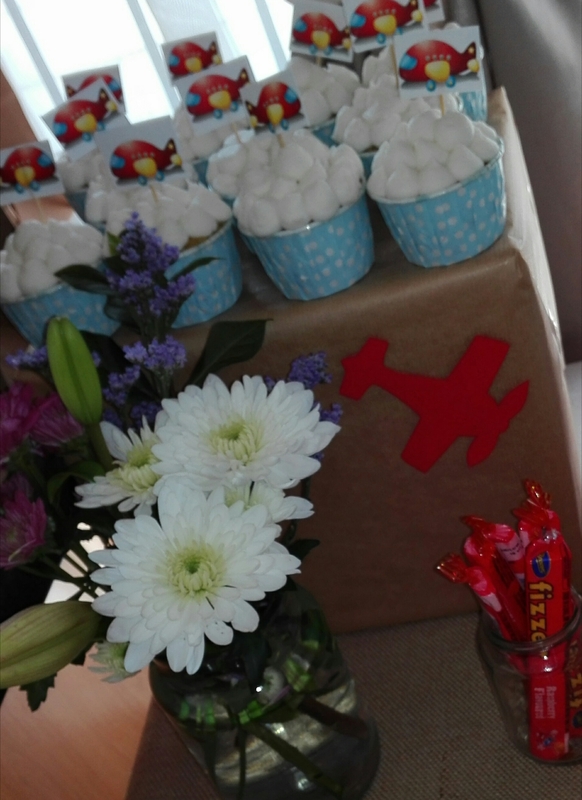 I made the food label tents and party packs, as well the peg airplanes included on the party packets. The birthday boy is still recovering from an ear infection but was mostly happy on the day. He thoroughly enjoyed smashing that cupcake and then stuffing it into his face! What fun! 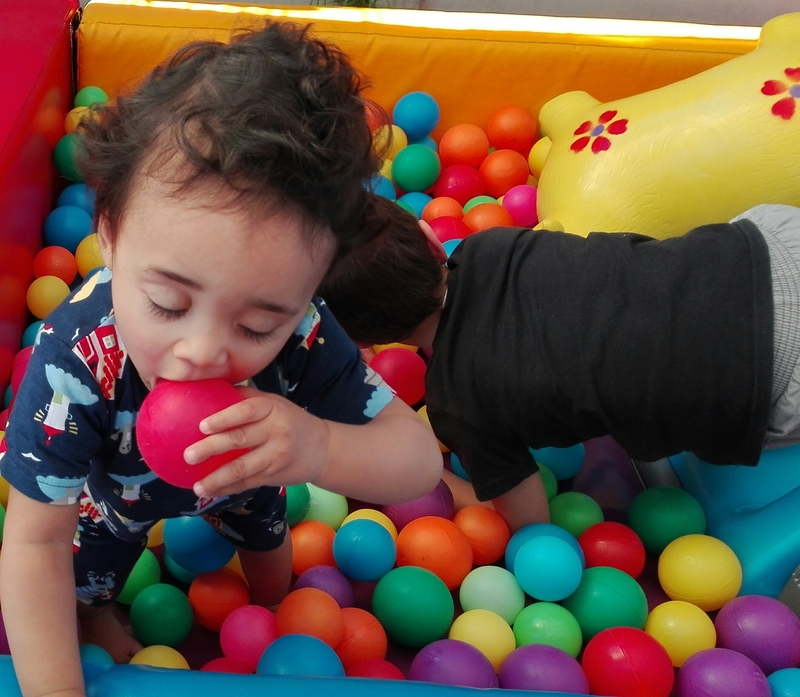 The soft play hire was provided by Klouter Kabouter. The airplanes made out of the popsicle sticks are so cute!!! Thank you! And it didn’t take long to make at all!